We’ve already established with romanesco that I have a thing for unusual vegetables. Lucky for me, I shop at Wegmans, where they are always stocking the latest and greatest of whatever is in season. I love trying new foods, and for a know-it-all like me, it’s always a great thrill to stumble across something I’ve never eaten before. Green kohlrabi looks a bit like an alien spaceship (if you use your imagination, or perhaps if you have an eight year old living in your house). Essentially, it’s a little cabbage with green sprouty things sticking out of its head, and presumably you can eat those, too. 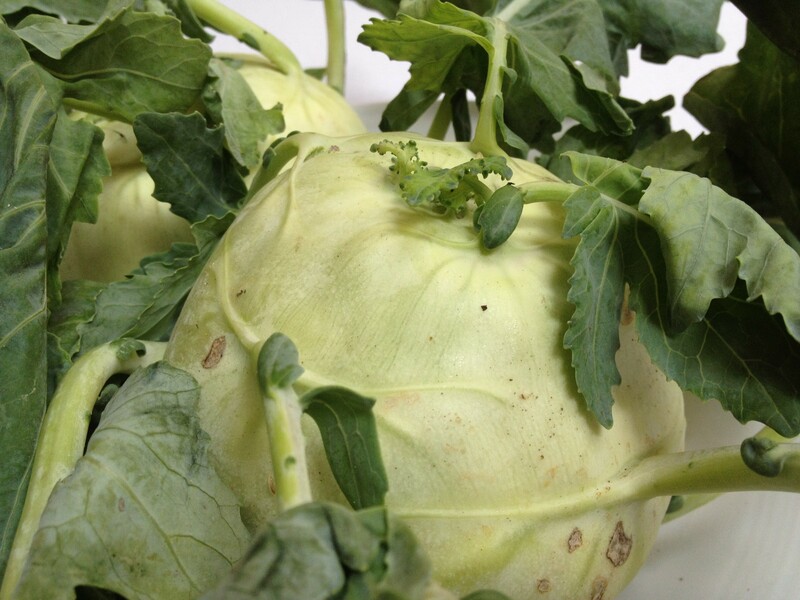 Green kohlrabi is German for “cabbage turnip,” but don’t let that put you off. It’s a little less in-your-face than in sounds, and it kind of reminded me in flavor of a more subdued daikon radish. The texture was similar to an apple. I cubed it and then tossed it with olive oil, salt and pepper and roasted it at 400 degrees for about an hour. Halfway through, I gave it a good stir, then returned it to the oven. I also decided also to grate some to put on my salad today, and I only wish I would have squirreled away more. While it was very good cooked, I think I prefer it raw. This is a great addition to a salad or a cole slaw, plus the added cool factor of being able to toss “green kohlrabi” into a sentence. 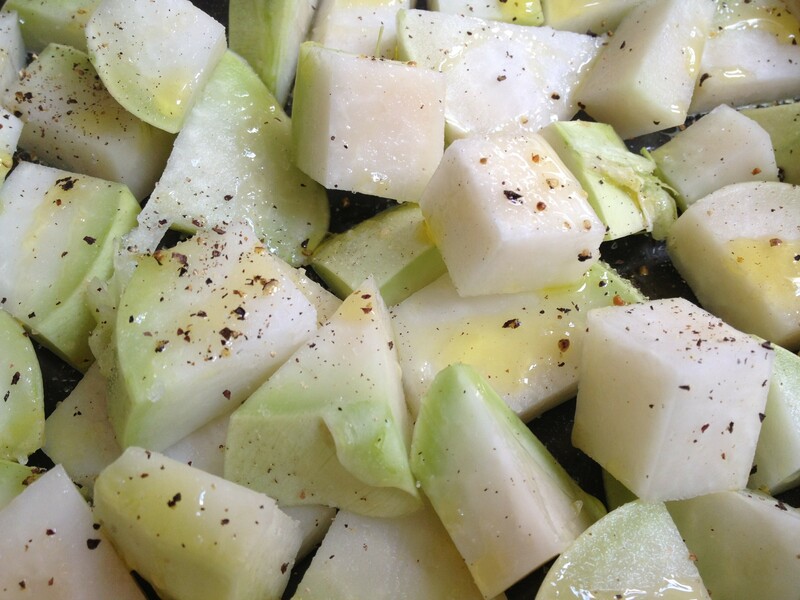 This entry was posted in Side Dish and tagged green kohlrabi by Mom Mom's Apron. Bookmark the permalink. wow! Never heard of it but it sounds interesting!